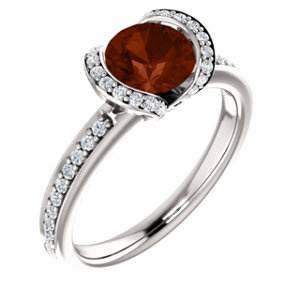 Genuine 6.5mm Mozambique Garnet gemstone ring bezel set in 14k white gold with quality, white diamonds. Diamonds weigh a total of 0.23 carats of G-H Color, SI2-SI3 clarity. 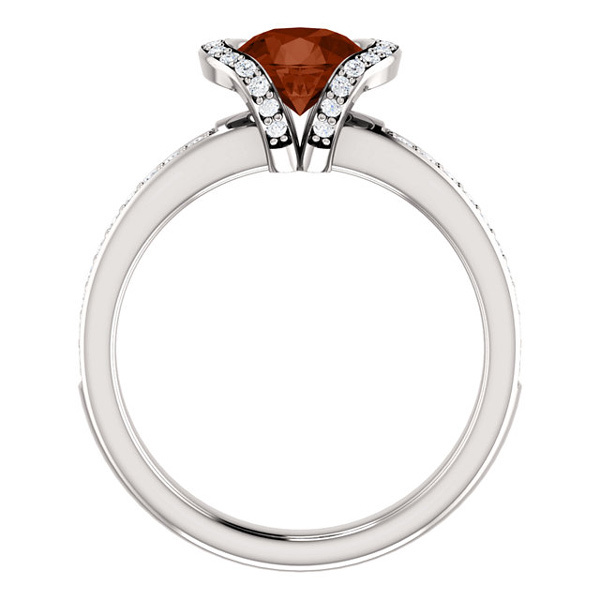 Also available in 14k rose gold or sterling silver (shown below).